Sugar Paper is one of my favorite paperie stores. They have the chicest and most stylish stationery around. Years ago, I entered a giveaway on a blog (maybe La Dolce Vita?) 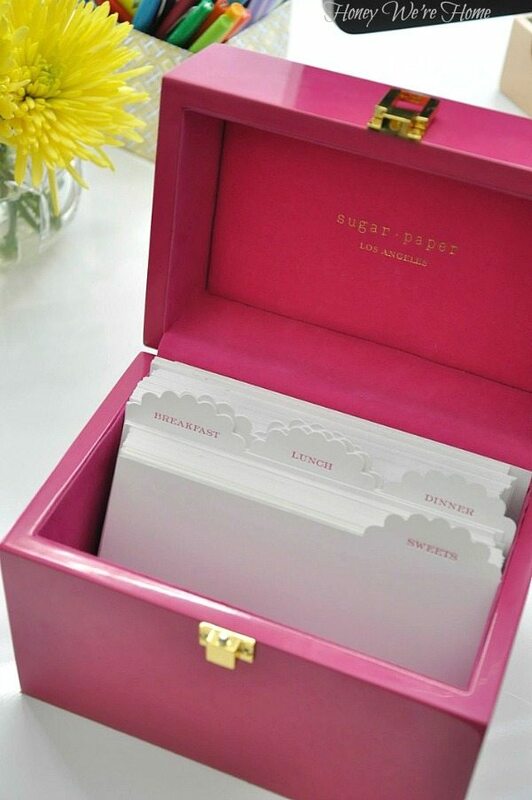 and won a pink lacquer recipe box and other paper goodies from Sugar Paper. I don’t usually write my recipes on index cards, but I LOVE the box and it’s been sitting on my bookshelf forever. I was thinking that maybe next year I’ll use the box to create one of those one-a-day perpetual calendars. I recently embellished the box lid with square brushed gold nailheads that I found at Hobby Lobby. They are meant for ironing on, but I used hot glue to affix them to the box. A tiny dab works perfect and if you mess up, let the glue dry and peel up the nailhead. I used my fingernail to scratch off the few bits of excess glue from the box. Of course, then I started looking around to see what else I could glue these babies onto! How about my Inslee calendar gifted to me by a very thoughtful woman. Washi + nailhead = cuteness! What would you use this nailhead trim on? Love the idea of putting it on a cell phone case. I know they sell these, but you could DIY if you can keep them in a straight line! Previous Post Vitamix Blender- Worth It? Love the nail heads on the box…..I would maybe put nail heads on kitchen cabinets (uppers) maybe on the lower half just below the door, if you have plain wood molding there….that might make a killer cabinet. 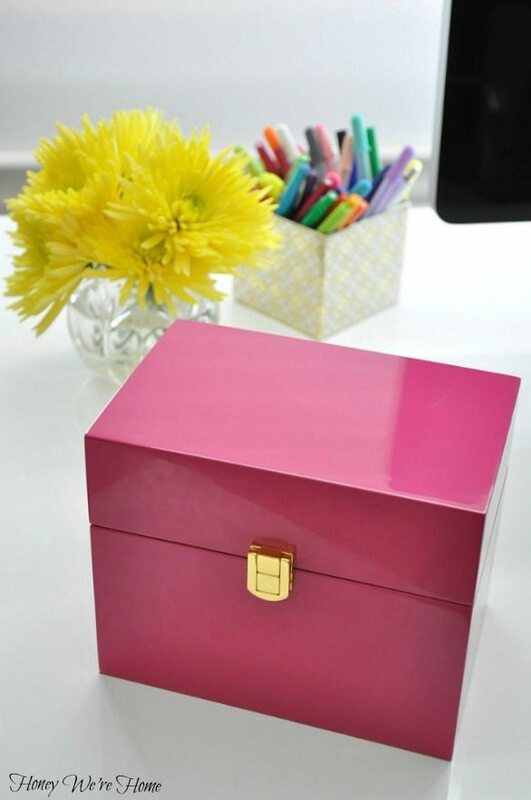 Love the pink box as well. The nail head trim adds just the right amount of bling!! I know you are very fashioned-minded. If I can afford only one good handbag for winter, would it be ok to carry a saddle/caramel colored one? I've found a RL one at TJ Maxx that I want. My only concern is carrying it when I wear black/gray. Thank you! 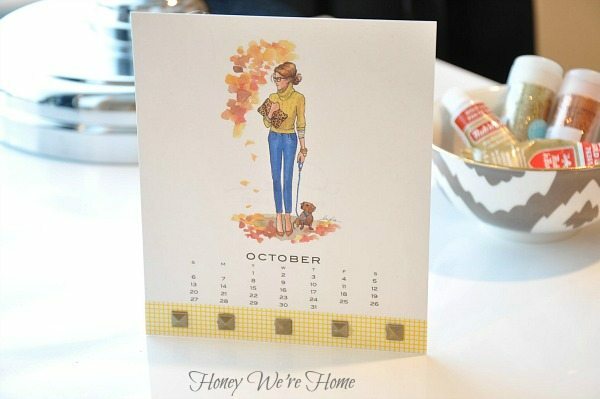 I love the idea of sprucing up a calendar with these! So cute…adding it to my list of things to tackle soon! So cute! Love Sugar Paper. They really have the sweetest products! What a simple and beautiful touch! I love it.